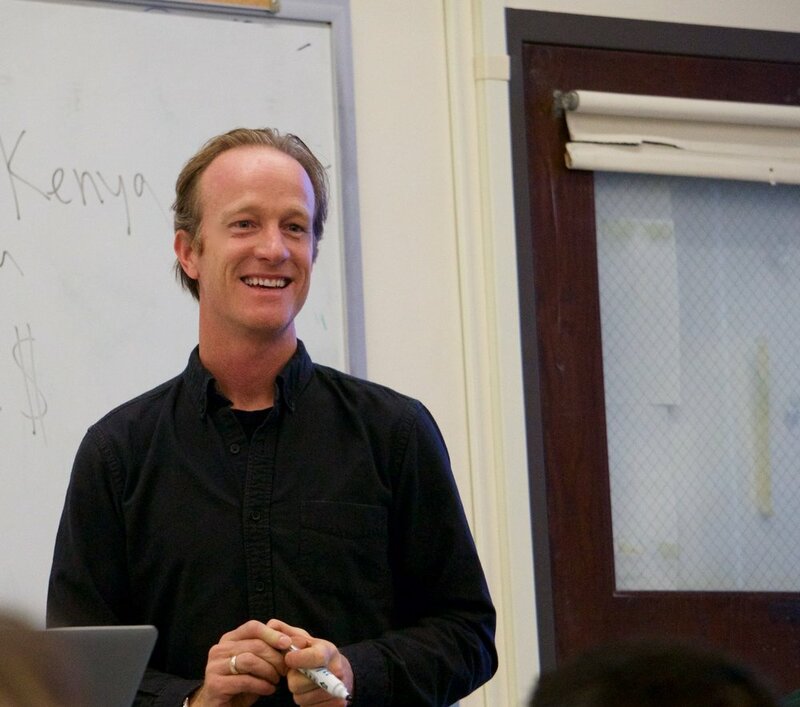 Vance Vredenburg is a Professor in the Department of Biology at San Francisco State University, Fellow of the California Academy of Sciences, and Research Associate at the Museum of Vertebrate Zoology at University of California Berkeley. He grew up in Mexico, received his bachelor's degree from UC Santa Barbara, and his Ph.D. from UC Berkeley. His Ph.D. research was the first to show it is possible to reverse the decline of a threatened frog in the wild. His approach has been implemented in montane areas globally. His current research focuses on the world’s Sixth Mass Extinction, specifically on the impacts of an emerging infectious disease (chytridiomycosis) on amphibians and the role of the amphibian skin microbiome in health and disease. Adrienne is originally from Orange County and received her undergraduate degree in Cell and Molecular Biology from San Francisco State University volunteering in the Vredenburg lab for about a year. Her thesis focuses on a retrospective analysis on Bd emergence in the long-toed salamander in California. Her overall career goals is to study Disease Ecology, Animal Behavior in response to sexual selection, and impacts of disease on certain populations and their behavior. Alan received his undergraduate degree in Ecology from University of San Francisco. His M.S. thesis focuses on the role of the skin microbiome as a mechanism of resistance against fungal pathogens in amphibians. He hopes to use this information to aid in conservation efforts of North American amphibians. Alessandra Moyer studies the effect of the marine subsidy on California island salamanders. Previously, she worked on marine trophic webs at Point Blue Conservation Science in Petaluma, CA. She received her BA in Integrative Biology from UC Berkeley in 2015. Her honors thesis focused on the growth rate of post-fire fungi. Gordon received his undergraduate degree in Molecular Environmental Biology from UC Berkeley. He is a member of the Museum of Vertebrate Zoology over at Cal, and has worked on AmphibiaWeb and GIS-related tasks for a few years now. He plans to use his databasing/GIS skills to investigate if life history traits, IUCN threat status, and range size of salamanders in Bd-epidemic regions may be related to their susceptibility to Bd infection. Norma received her undergraduate degree in Environmental Studies and Anthropology (Biological emphasis) from UC Santa Barbara. She is most interested in herpetological conservation and previously worked with the San Francisco Zoo's Conservation Department in captive-rearing endangered or threatened species of amphibians and reptiles. Her master's thesis will involve collaborating with the National Parks Service and the San Francisco Zoo to track and study captive-reared and released California Red-legged Frogs in Yosemite. She hopes her research will give valuable insight into the conservation of this species, as well as assist other amphibian conservation and management programs. Helen Butler is interested in studying the dynamics of amphibian disease in human altered landscapes of mountain ecosystems. Her undergraduate research endeavors include involvement in a study at San Francisco State that estimates transmission dynamics of disease in relation to behavior in California salamanders. Also, she assisted on a study that analyzed the aggressiveness of urban and rural song sparrows in Virginia. Helen graduated with a B.S. in Biology from Virginia Tech in 2015. Kurt was an undergraduate at SF State University. He is interested in studying amphibian conservation and is currently focused on studying the effects of dams on amphibian populations. In particular, he is studying how dam construction can lead to invasion of non-native species (of amphibians and amphibiian predators) and to isolation of remaining populations of native amphibians. Rachel received her undergraduate degrees in Environmental Science and Spanish from the University of Iowa. She currently works as a biologist with the Golden Gate National Recreation Area, and studies both aquatic and wildlife species. She is co-advised by Tom Parker and for her masters thesis she utilizes wildlife cameras to research trophic level interactions and community structure among mammalian communities in parklands of the Bay Area. Alma is a Biology major with a concentration in Zoology. She is an SF BUILD scholar and is interested in conducting research in the ecology of emerging infectious disease in amphibians. Her long-term goal is to pursue a PhD and conduct meaningful research in conservation biology. 2015-2016: Jodie Esaki, Stephenie Huynh, Amanda Huynh, Joelle Dugay, Kelly Hyde, Hasan Sulaeman, Nathaniel Estrada, etc.